Laboratory Weighing Expertise Calendar: Receive access to 12 months of white papers and interactive content designed to help you improve your weighing results. 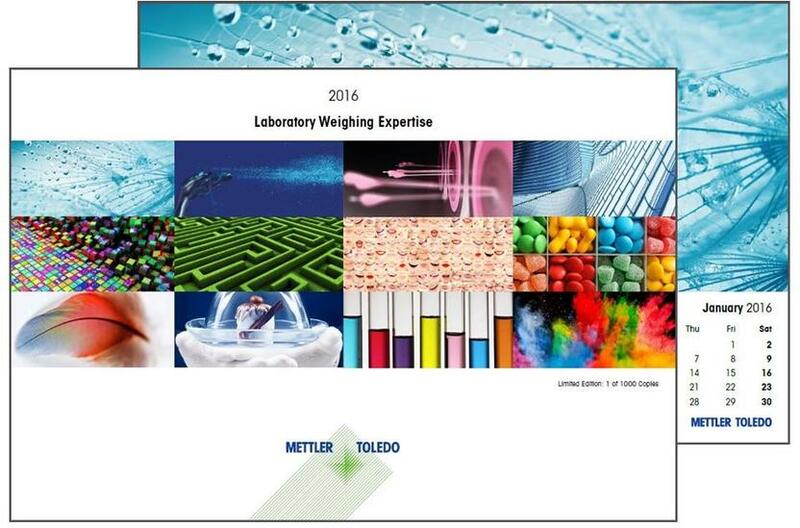 28-Oct-2015: Mettler Toledo presents a special offer for 2016 - a limited-edition, full-color lab calendar. More than a way to track days and dates, this 12-month calendar will provide a series of enlightening topics devoted to ensuring weighing accuracy in all critical lab processes. Using calendar pages offers exclusive access to white papers, e-learning, competence pages, and more. Concerns such as moisture content, harsh-condition weighing, lab-process consistency, traceability, and working lean will be covered. New content will be available every month. Only a limited number of these print calendars are available.